Paratextual Memory brought together a range of key thinkers from the UK and USA from paratextual studies and memory studies. for the first time. The ‘paratextual cohort’ as it is called consists of researchers in film, television, digital media, fandom, audience, cultural, creative and media industries, literature, cultural history, sociology, technology studies, commercial media, marketing, branding and distribution studies. All these fields have an interest in the culture, creativity, media, popular art and literature that circulates around, beyond and beside literary and screen culture. Likewise, memory studies scholars are also exploring the everydayness of memory in terms of its disruptive, ephemeral, collective and community formations. They are also concerned to find new paradigms to critique the monetization of memory, the creation of new mnemonic currencies and the opening up a range of agents of mediated memory from creative producers, showrunners, media corporations, museums and heritage institutions to brand managers, grassroots intermediaries and fan audiences. In June/July 2016, IAS Visiting Fellows Jennifer Gillan (Bentley) and Jonathan Gray (UW-Madison) participated in a variety of exciting research events at the Centre for Cultural and Media Policy Studies, the Institute of Advanced Study, and the Department of Film and Television Studies, in collaboration with the Centre for Television History, Heritage and Memory (CTHHM). Discussion related to Television and New Media: Must-Click TV (2010), particularly the chapter "Fan tracking, targeting, and interaction from the web to the WB"; with follow-up in the Epilogue chapter of Television Brandcasting (2015). 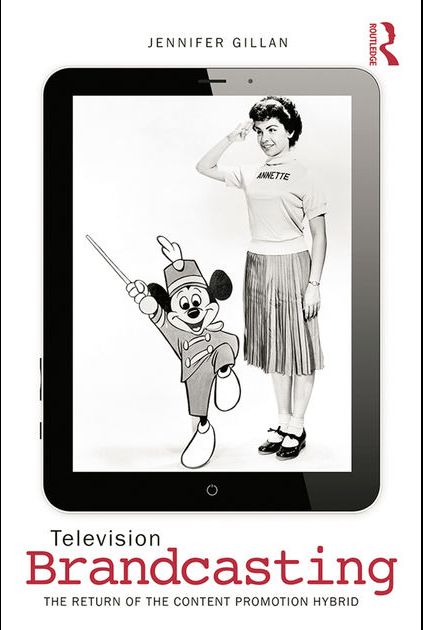 Discussion related to Television Brandcasting (2015), particularly the chapter "Cable Brandcasting and the Disney Channel's Company Voice". 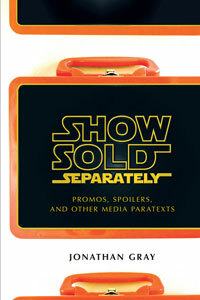 Discussion related to Show Sold Separately: Promos, Spoilers, and Other Media Paratexts (2010), particularly the chapter “Under a Long Shadow: Sequels, Prequels, Pre-texts, and Intertexts”. Title of talk "Sub-Saharan Dolly: The Circulation of Media Entertainment in Malawi". This event hosted guests from across the UK to define a new area of study. In addition to addresses from our two IAS Visiting Fellows, Matt Hills (Aberystwyth/Huddersfield) also gave a keynote address.